Producer, DJ & part-time MC, Maseo a.k.a Plug 3 from the iconic hop-hop group De La Soul is one of the most respected and influential members in hip-hop history. De La Soul burst onto the scene with their truly innovative and creative style of hip-hop by coloring outside the lines, sampling a diverse array of untouched and previously unsampled artists such as The Turtles and Hall & Oates on their critically acclaimed debut and hip-hop masterpiece "3 Feet High & Rising." Singles like “Me, Myself & I” broke major barriers in music and ultimately turned masses into hip-hop fans. De La Souls following album releases, “De La Soul Is Dead”, “Buhloone Mindstate” & “Stakes Is High” defined what most refer to as the golden era of hip-hop. 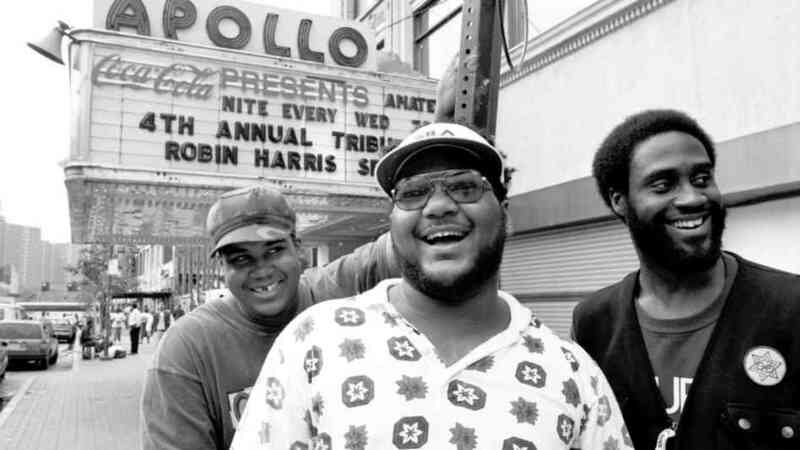 De La Soul has been a catalyst for other important acts in hip-hop history as well as they helped introduce to world the “Native Tongues” crew of MC’s consisting of A Tribe Called Quest, The Jungle Brothers and Black Sheep, while also credited for catapulting the careers of Mos Def and icon hip-hop producer, J-Dilla. De La is perhaps the "oldest" functioning hip-hop group to still truly maintain credibility while not having "fell off" as they continue to stay relevant collaborating with MF Doom, Wu-Tang's Ghostface Killah, Madlib and Flosstradamus among others. De La Soul’s largest collaboration to date being with Damon Albarn from Blur when he enlisted De La to participate on the Gorillaz track, "Feel Good Inc" which is the biggest single ever for both De La and Gorillaz. The track was featured on a massive Ipod worldwide TV campaign and won both acts a Grammy’s after their ensemble Grammy performance that included Madonna. Most recently, Maseo and De La Soul toured with Gorillaz worldwide where Damon would have entire stadiums chant Maseo's name to prompt his now infamous demented laugh to start off the performance of "Feel Good Inc."
Maseo is currently working on his "DJ-Conductor" concept album which has already yielded a popular single featuring Mac Miller called “I Bring the Soul He Brings the Funk.” Maseo is also working on a new De La Soul record and can currently be seen in the award-winning "Beats Rhymes & Life" A Tribe Called Quest documentary keeping the peace between the stars of the movie. Maseo tours often on his own and can often be found DJ'ing after parties of the famous with his mix of Funk, Soul, Classic Hiphop, 80's, Old School and House. The Lodge At RedRocks is very excited to have Maseo on Sunday July 20th as part of our newest Sunday afternoon dance party, Sunday Session. See event page HERE.